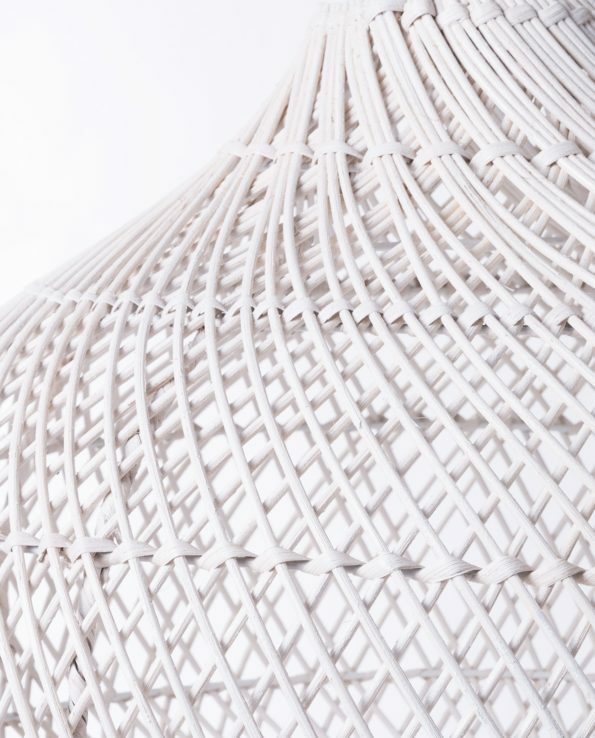 This lamps aesthetic is based on the fishnets used in parts of Indonesia and is beautifully handcrafted to present interesting patterns of light through its woven structure using split bamboo. 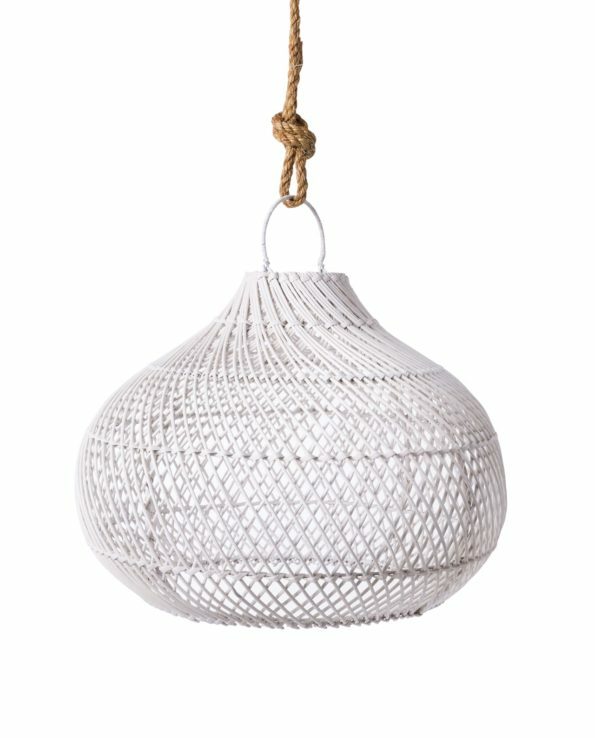 This give a casual, beachy feeling to an interior. It makes a stunning piece of original art whether hung by itself or in a cluster. Note: Cord and bulb not included. 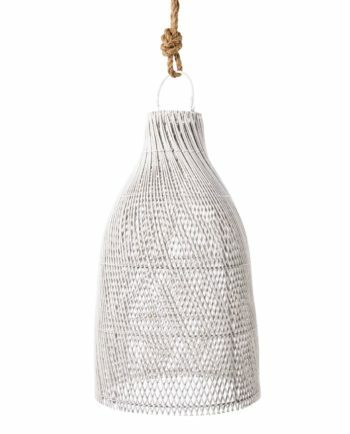 This pendant should be wired and installed by a certified electrician. Clean with a soft dry cloth.